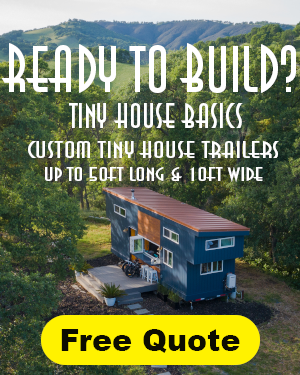 Hi Tiny House Blog readers! 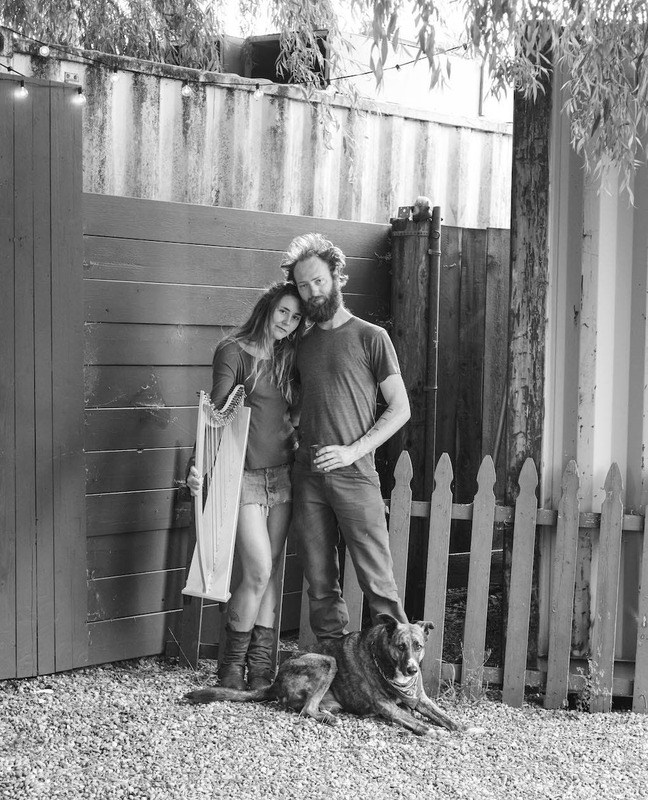 I’m Ella Dawn Jenkins, a musician and tiny house alumni who built 2011-12 and transplanted from SoCal to the Bay Area. 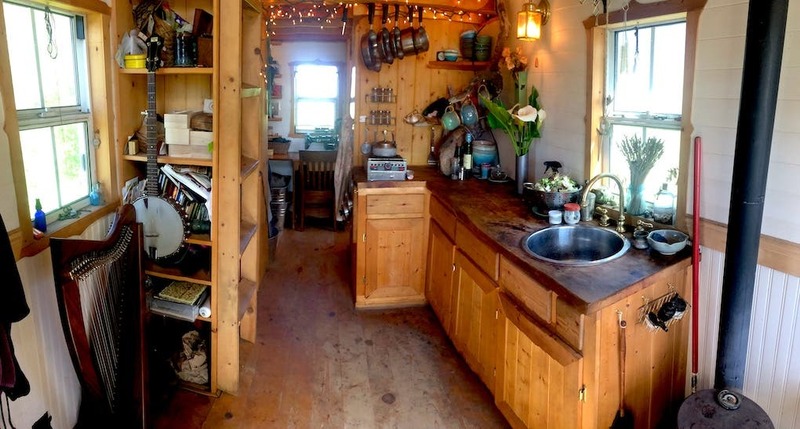 I taught 40+ tiny house workshops all over the country with Tumbleweed and lived in my tiny (named Little Yellow) in a horse field for 5.5 wonderful years before moving to a small house late 2017. There’s some stigma around moving out in the underbelly of the movement, so I thought I’d write a quick update and give some thoughts on the subject. News flashthings work until they don’t. Living spaces, relationships, jobs, anything and everything. 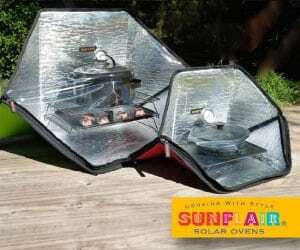 I lived in my house for half a decade and I can tell you with 5.5ish years of certainty that it absolutely worked. Better some days than others, but where is that not the case? 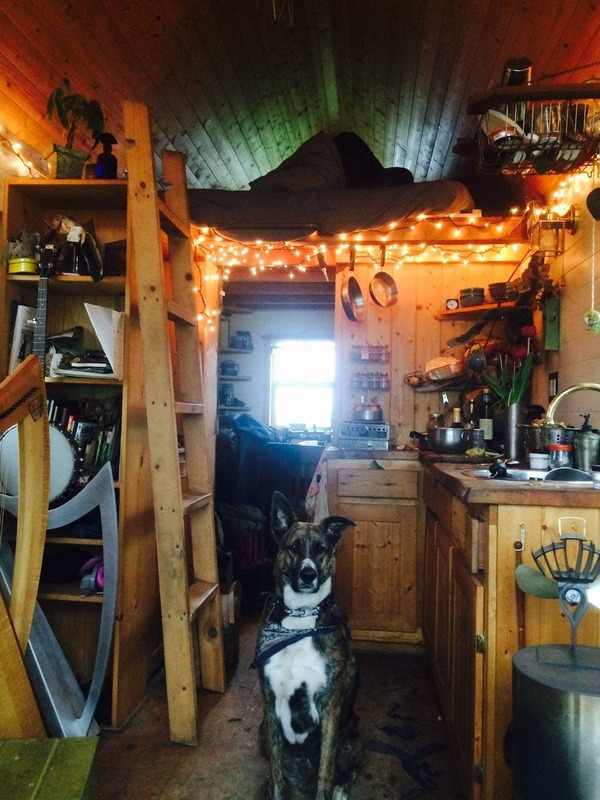 I built my tiny house to make my life easier, and for many years she did exactly that. I’d say that sweet spot was about 3.5-4 years in my situation. At some point, after I quit my ‘day job’ (Tumbleweed) and my home also became my newly self/un employed workspace, this gradually became less and less the case. You change as you grow, of course, and my wee, humble house adapted to so much of my growth. I never intended to live there with someone else (did so for 5 years), never intended to have a dog (we had 2 for a while there) never expected that sewing clothes for other people would be something I’d do (in moved the sewing machine and the cabinet and the fabric) and definitely never expected to start making harps (we do that now. They hung somewhat precariously from the ceiling). She really was the Mary Poppins carpet bag of living spaces. More so than anything else, my own life goals were what outgrew the tiny house. When I began this journey, I figured I would set her down somewhere beautiful, live a small and simple life and that would be it. And it was for several years, til the creeping drive to pursue music and various other dreams (on a much larger scale than I originally planned) began to grow so rapidly that the intensity was almost alarming. At a divergence of where you came from and where you’d like to be going, there’s a point where you have to be honest with yourself. So I was, and when the opportunity to move to a larger space presented itself, we took it. Could I have found a separate workspace instead of moving? Absolutely, but that wasn’t in the cards. Little Yellow now resides next to the ‘big’ house, rented by a lovely gent who appears to enjoy living tiny easily as much as we did and life is again, made easier. 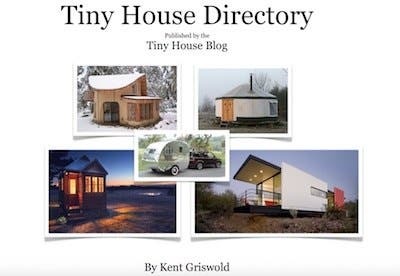 In the year I took designing and building my tiny and the years I lived within, I effectively created a small, portable, practical investment that goes up with inflation (in terms of monthly rental $). 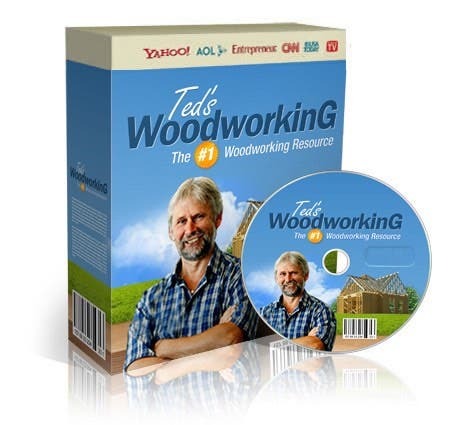 I have a built in buffer, that could take countless different paths to generate income with a little creativity. These days should a naysayer try to tell me how ‘it didn’t work’, I politely tell them to stuff it, and jaunt happily back to my much more affordable situation, made possible by said ‘failure’. My tiny house ‘worked’ better than I could have planned. Little Yellow provided exactly what I needed when I needed it and continued to facilitate my forward movement when I was ready for change. I would never be able to live my life as a nearly full time musician and pursue the ever moving target of happiness as I have without her, and that is invaluable to me. While we may not live in our tinies forever and ever, they can still continue to enrich our lives in countless beautiful ways. When tiny houses match our lifestyle well, they make things easier. If they should cease to do so in their current iteration, make a change. 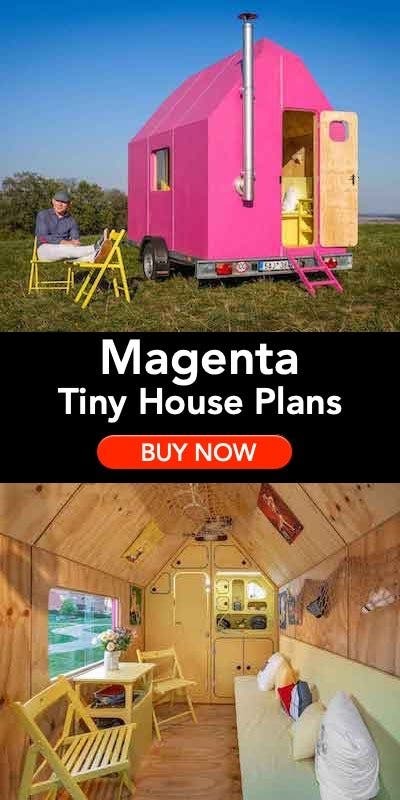 Tiny houses are just another place to live/have lived. Moving on doesn’t mean it didn’t ‘work’. Regardless of how long we live in them, tiny houses can be a very smart investment. I spent 5 years living tiny paying 1/4-1/3 the current rent in my area and now rent my house for almost 3x what I paid per month. Bravo! Your creativity, flexibility and honest gaze apply to all areas of life. 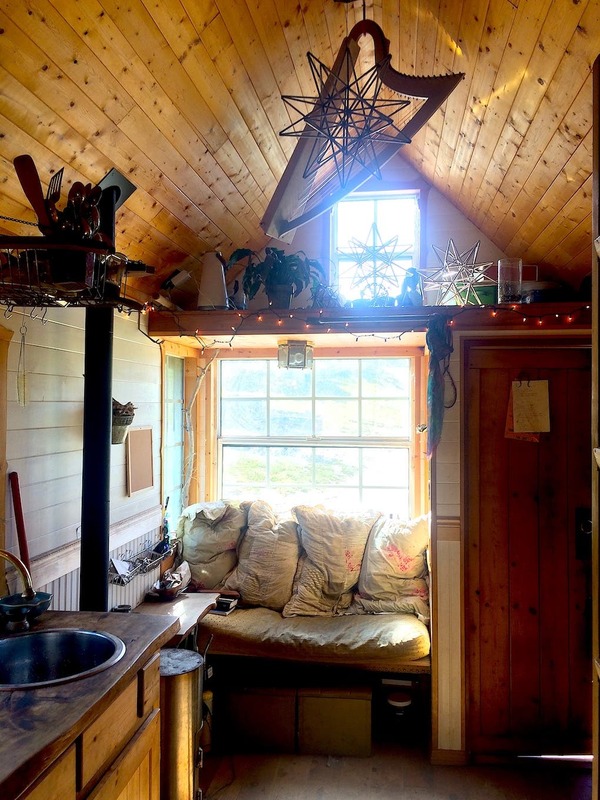 It seems to me that one of the benefits of tiny house living is flexibility so why would one become inflexible about it! Common sense. What a beautifully written, thoughtful piece. A joy read. Good on you! This is great insight for anyone living tiny, or hoping to. Thank you for this beautifully crafted post. I have long been a fan of Little Yellow Door and your posts. Your message feels right on target and I appreciate you taking the time to remind readers that just because something isn’t your “forever” in no way means it is/was a “failure.” I applaud your pioneering spirit and for sharing your inspiring journey with us all through the years. Best wishes for all that’s ahead…for LYD and you! 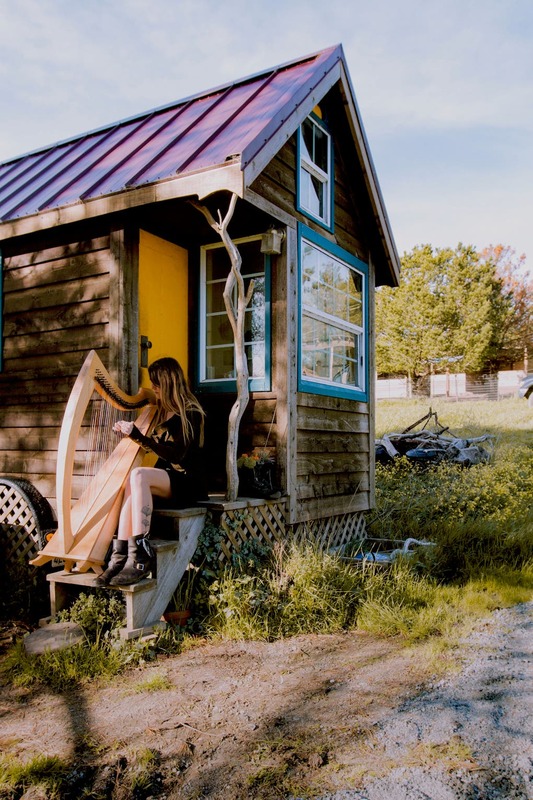 As the author beautifully expresses, the tiny house was a place to become more of who she is. 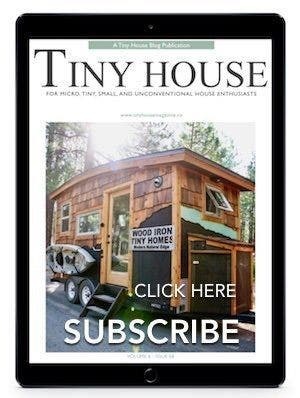 I love how she described her “…dreams (on a much larger scale than I originally planned) began to grow so rapidly that the intensity was almost alarming.” The tiny house served as an “incubator” for her to discover more of who she is. Bravo! I’m currently anticipating a move to a new home. I have had thoughts of “what if it doesn’t ‘work out’ in a few years?” Her story helps remind me to follow my dreams wherever they lead, and move along when the dreams need more “space” to grow. Loved the article. I loved the honest look at this and the fact that your tiny house was much like life. It was right while it was right and like most life situations that as you said is the case. I also love that it helped you follow your unexpected passions. It seems it may have opened up some space in your life to find those things that make your life happy and complete. Somewhat of a time warp or door way into your best life. How wonderful for you. I enjoyed reading about your journey, the ups and downs of your build. Your enthusiasm and excitement. Thank you for sharing it all with us.